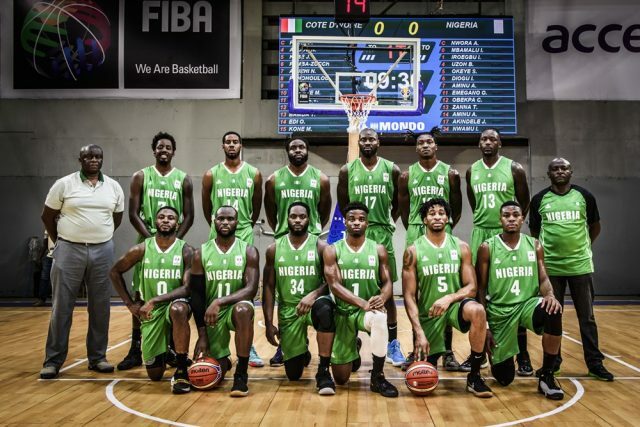 D’Tigers head coach, Alex Nwora has invited 15 players for the last window of the 2019 FIBA World Cup Qualifiers taking place in Abidjan, Côte d’Ivoire from February 22-24. The team is dominated by players who missed out of the last phase of the qualifiers hosted in Lagos. Jekiri Tonye is set to make his debut after missing out in the last window due to administrative reasons while Christopher Obekpa, Obinna Emegano and Michael Efevberha will be making their return. Ekene Ibekwe whose last appearance was at the 2016 Olympic Games in Rio and 34 year old Michael Umeh (2015 Afrobasket) have both been recalled to the fold. Team captain and Sichuan Blue Whales forward, Ike Diogu alongside Stanley Okoye, Alade Aminu, Iroegbu Ike, Ike Nwamu, Ayodeji Akindele, Mbamalu Bryant, Zana Talib and Braxton Ogbueze complete the list of players invited. Nigeria will battle host Côte d’Ivoire, Central African Republic and second placed Senegal with 16 points. Currently ranked 33 in the world and first in Africa, the D’Tigers on a 9 match unbeaten run according to Nwora will hope to finish the campaign on a high to boost the team’s rating before the World Cup draws.